THIS ITEM IS NOT AVAILABLE AT PRESENT. WE WILL NOT BE GETTING ANYMORE Batman The Animated Series Robin Action Figure. From the Batman Animated Series collection by DC Collectibles. 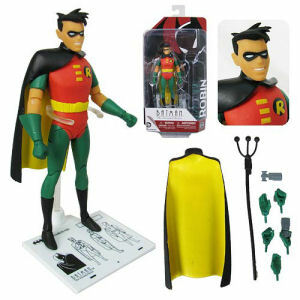 Batman The Animated Series Robin Action Figure. Stands 6 inches tall. The action figure features multiple points of articulation and comes in blister card packaging.